The Department of Adult and Pediatric Vascular, Endovascular Surgery at the University Hospital Rechts der Isar Munich offers the full range of services in these medical fields. The department specializes in the treatment of patients with acute and chronic diseases of the arteries and veins, circulatory disorders in the extremities, pathological changes in the carotid artery, stenting and surgical treatment of vein diseases. A highly motivated, competent team of doctors and nursing personnel takes care of the patients’ health. The department is headed by Prof. Dr. med. To provide effective treatment, the department has been operating an ultramodern hybrid operating room since 2012, in which open and endovascular interventions are performed with the use of a high-resolution angiography system under the control of imaging devices. This is especially important when performing endovascular operations to treat aortic diseases, bypass surgery and primary endovascular interventions. 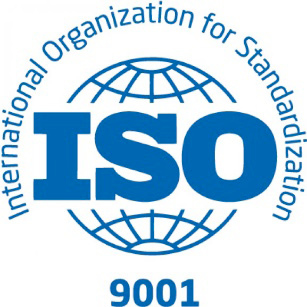 Treatment is provided in accordance with the national and internationally recognized recommendations. 1980 - 1985 Study of Medicine at the Ruprecht Karls University of Heidelberg. 1986 Thesis defense at the Ruprecht Karls University of Heidelberg. 1996 Senior Physician of the Section of Vascular Surgery (Prof. Dr. med. J.-R. Allenberg), Department of Surgery at the University Hospital Heidelberg (Prof. Dr. med. C. Herfarth). 1997 Qualification of the European Board of Surgery in Vascular Surgery. 1998 Habilitation in Surgery, Ruprecht Karls University of Heidelberg. 1999 Theoretical bases in Phlebology. 1999 - 2003 Head of the Department of Vascular Surgery at the Ludwigsburg Clinic. 2004 Successor of Prof. Dr. med. P. C. Maurer, Head of the Department of Vascular Surgery at the University Hospital Rechts der Isar Munich. 2005 Appointed to the Ethics Committee of the Medical Faculty of the Technical University of Munich. Since 2006, Member of the Commission on Recommendations of the German Society of Neurology (DGN), Managing Editor of the edition "Vascular Surgery – Journal of Vascular and Endovascular Surgery". 2009 - 2010 President of the German Society for Vascular Surgery and Vascular Medicine (DGGG). Since 2009, Head of the Department and Polyclinic of Vascular and Endovascular Surgery at the University Hospital Rechts der Isar Munich. Since 2009, Head of the Department of Adult and Pediatric Vascular, Endovascular Surgery at the University Hospital Rechts der Isar Munich. Since 2011, President of the VASCULAR INTERNATIONAL Foundation. Since 2012, Leading Editor of GEFÄSSCHIRURGIE journal. 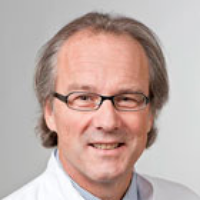 Member of the Editorial Board Der Chirurg, Vascular Surgery. Member of the Scientific Committee of the Space-1 Studie. Since 2012, Member of the Supervisory Board of the German Research Foundation (DFG). Department of Adult and Pediatric Vascular, Endovascular Surgery.